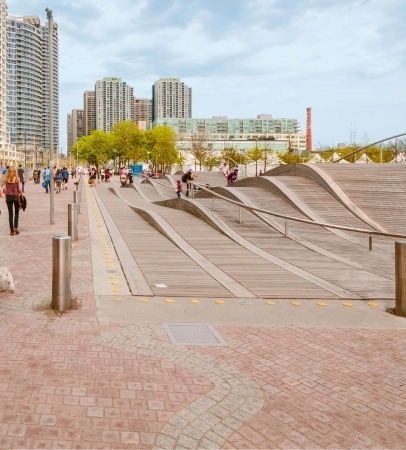 After more than a decade of planning and three years of construction, Queens Quay in Toronto has been turned into a veritable urbanist’s dreamscape on the waterfront. 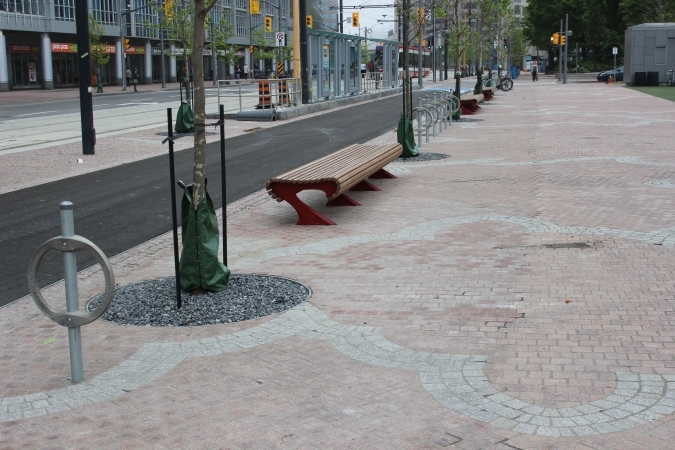 Four lanes of traffic have been reduced to two making room for a separated bike path, separated light rail, benches, thousands of new trees, and extra-wide pedestrian promenades with pavers set into maple leaf patterns. In the video above, West 8 explains the massive undertaking, which included significant infrastructure upgrades below the new public amenities. While the long-awaited revitalized Queens Quay has been celebrated and enjoyed by pedestrians and cyclists, the new configuration (notably the reduction of traffic lanes) has been confusing, and frustrating, some Toronto drivers. 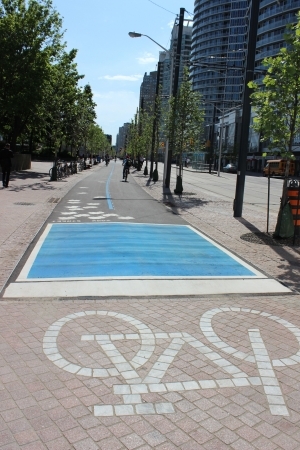 This learning curve should straighten out soon, though, as the Toronto Star reported that new signs and street markings are on the way to clear up any questions about who and what goes where. 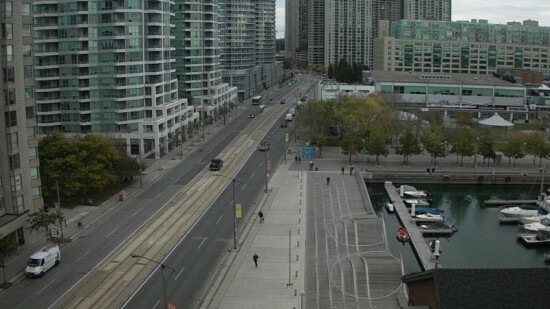 Check out the video below, as Toronto Star reporter Stephen Spencer Davis bikes along the Queens Quay.